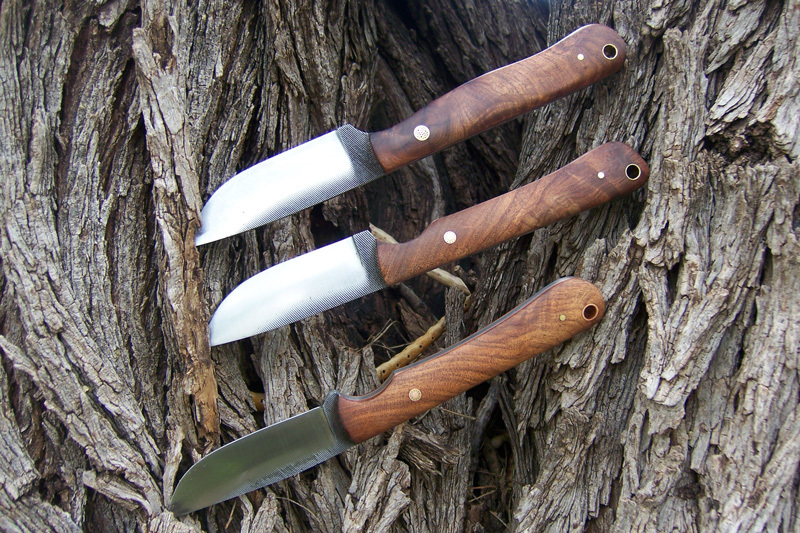 This trio of knives were made to a customer’s specifications. 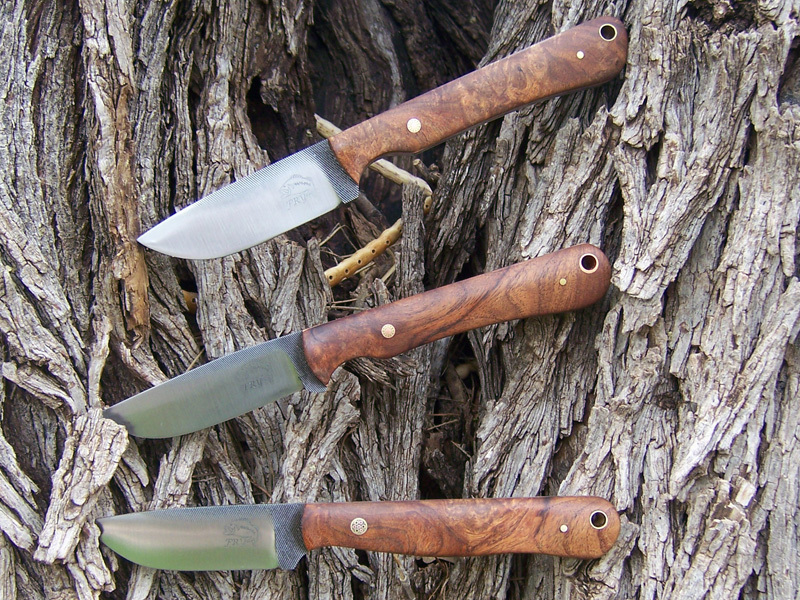 All three are from American made files, with copper liners, filework, and mosaic pins. 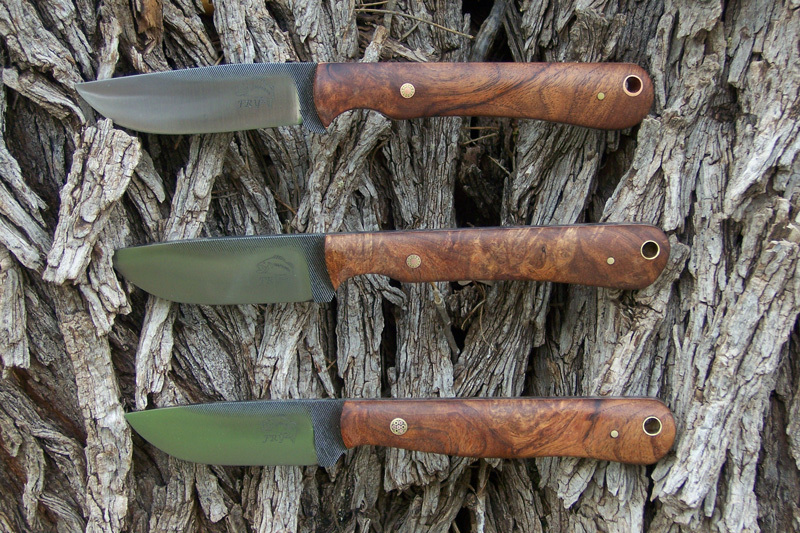 They all feature mesquite burl handles. You may notice the subtle differences between the three. All have identical overall length, 7 5/8″. 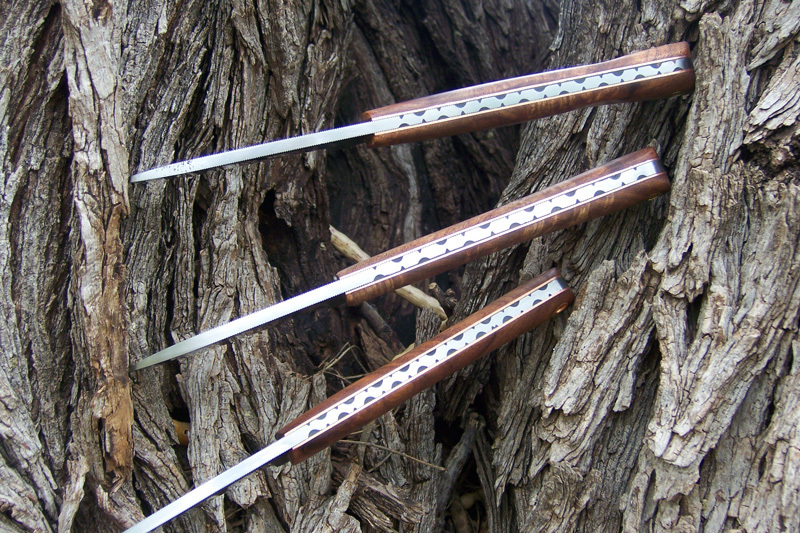 There are two blade styles and two handle styles. Each knife has something in common with the others. A knife like this runs around $200.